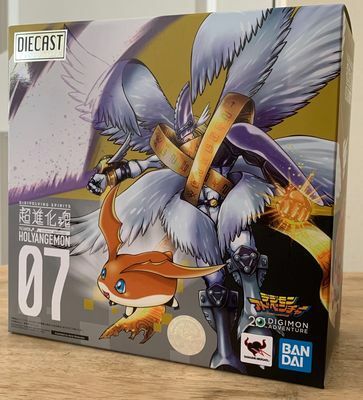 The seventh Digivolving Spirits figure, HolyAngemon! 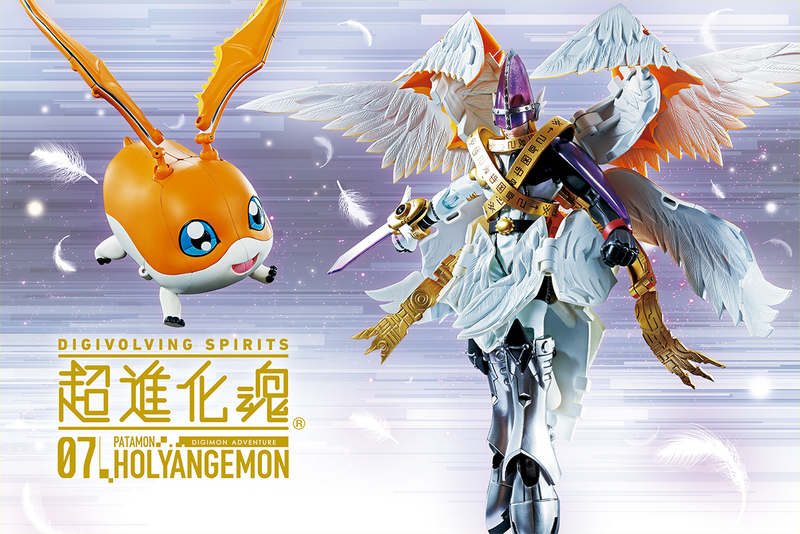 Released a few weeks ago in Japan and scheduled next month in the US, Digivolving Spirits 07 HolyAngemon is the newest Digivolving Spirits figure. 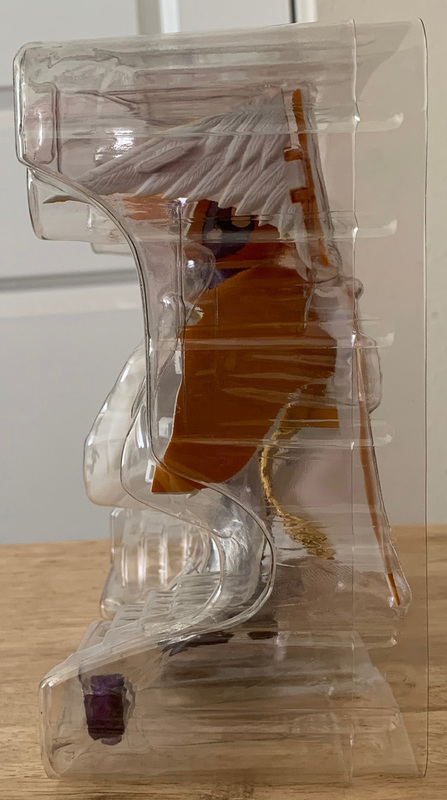 This figure is one we first saw in the form of early artwork over a year ago, but was teased via silhouette for quite awhile before it was officially announced. The scans went mostly fine, minus that the box is slightly slippery to the touch (plus one small thing mentioned later.) Luckily I remembered this from prior figures and took it into account when I was scanning it. The scan of the front of the box is at the top of the article. A photo of the front is included here. 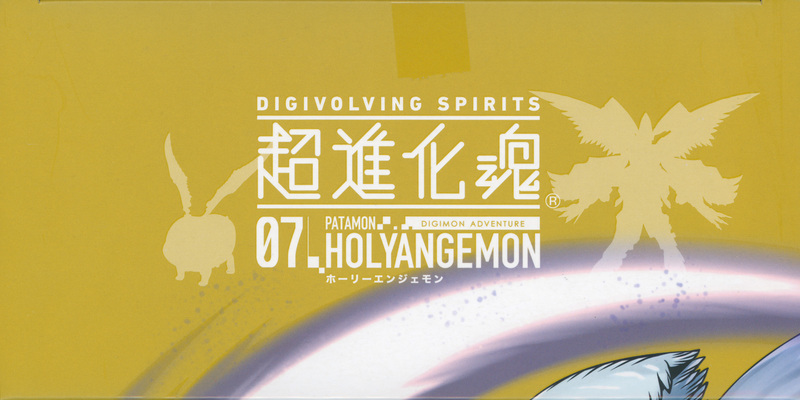 The front of the box has a clean style to it with some nice flair, which matches the overall branding for the Digivolving Spirits line. 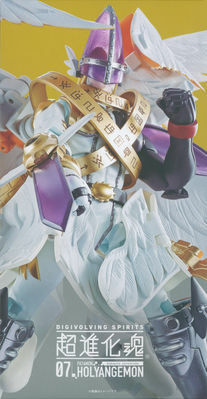 The logo for the line has been a combined English/Japanese logo since we first saw it, and just below is the name of the figure (along with his lower form and the part of the franchise he's from just above.) 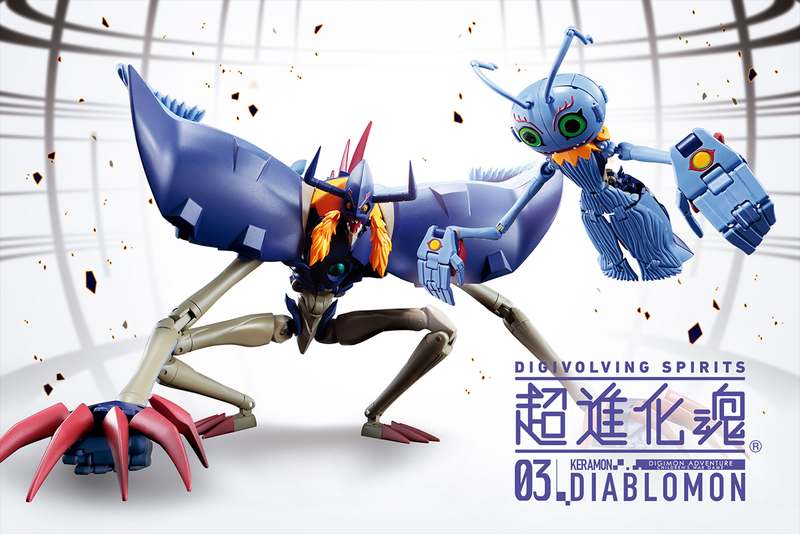 Having the number underneath so huge is no doubt to help it stand out well on a shelf side by side with other Digivolving Spirits figures. 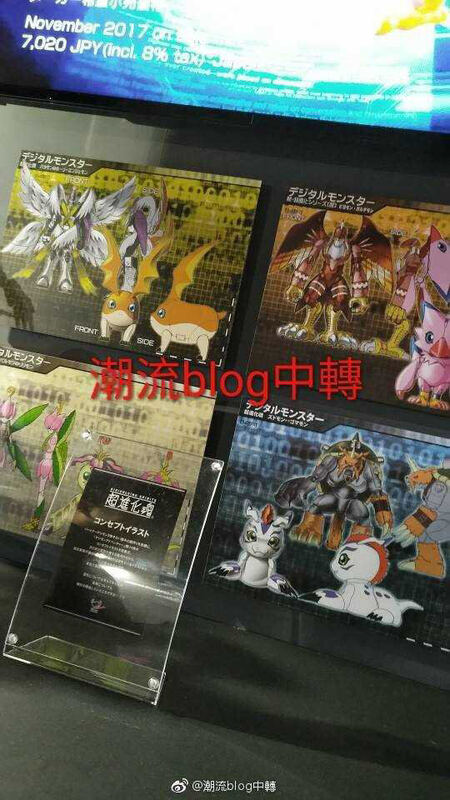 In the top left we also get a reflective Diecast Evolution 'plate' that they're putting on figures in the line to show off it having diecast metal. 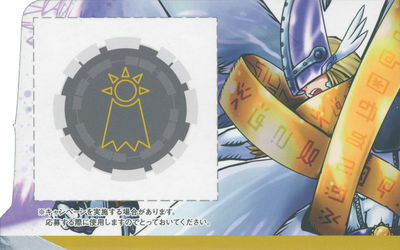 The bottom right corner has company logos, along with the Digimon Adventure logo. The primary noticeable change on the packaging this time is the addition of the 20th Anniversary Digimon Adventure logo. There are a few versions of the logo, they used the shorter and longer white text version here. It stands out well from many other collector's figures by showing art instead of just showing us the figure. The top has the logo, along with silhouettes for the figures (along with a touch of elements from the front artwork.) Very basic and nice. The bottom has various legal and informational details. The only notable difference between Japanese and US figure stock is here. 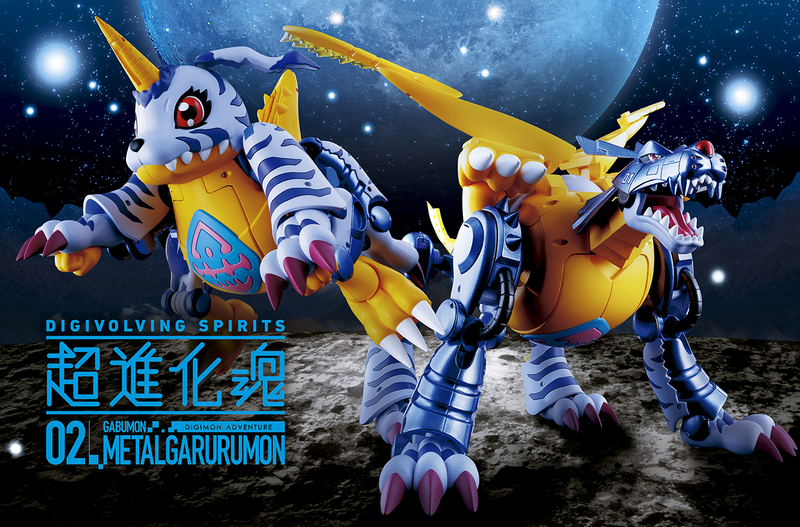 Bluefin, the US distributor for Tamashii products, including Digivolving Spirits, adds a small label with various information they need to include. 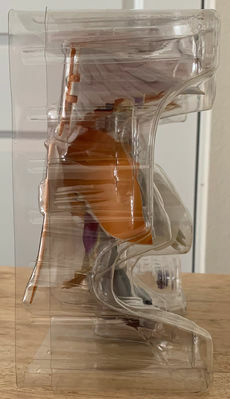 This figure is from Japanese stock so does not include the sticker. The back of the box features various text and logo touches from the front, along with some nice images of the figure itself. 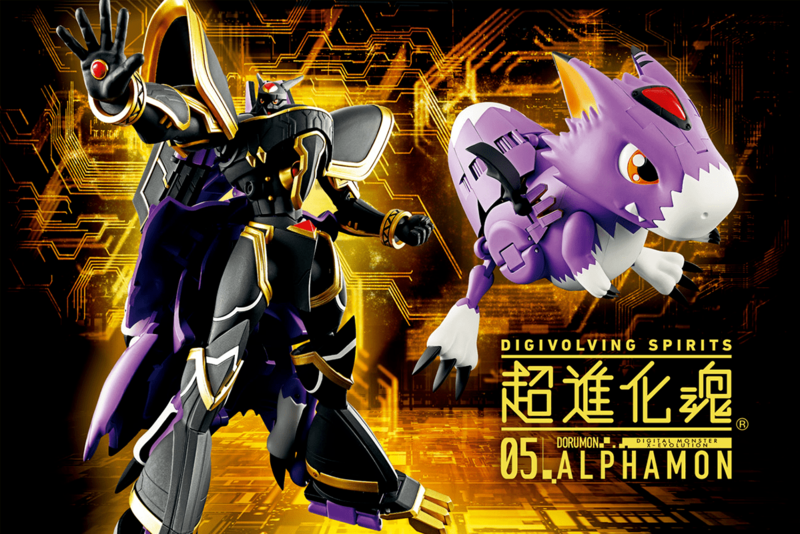 Most of the text is in both English and Japanese, and the small amount that isn't is the basic profile information for Dorumon and Alphamon that we've all seen a number of times. 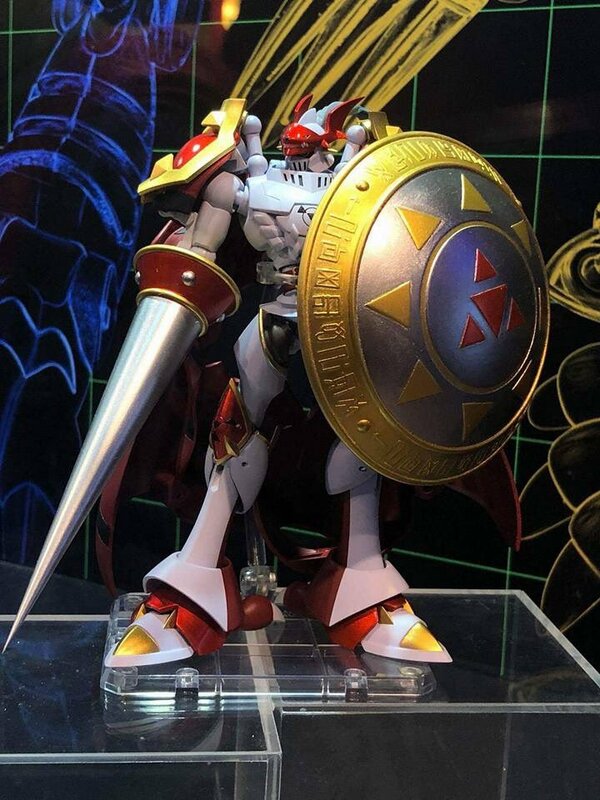 We also get a small preview of the eighth figure in the line, BlackWarGreymon! 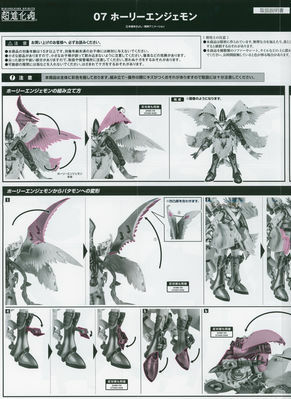 Interestingly, it does change the text from previous releases to identify BlackWarGreymon as a special release. When the top of the box is opened there are flaps on either side. 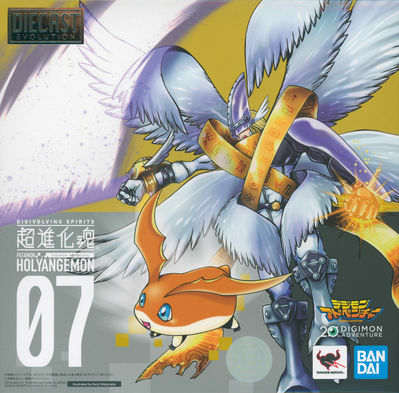 The left flap shows HolyAngemon, along with the crest of Hope. This is included with cut guidelines in case they decide to do a campaign in the future that requires proof of purchase. 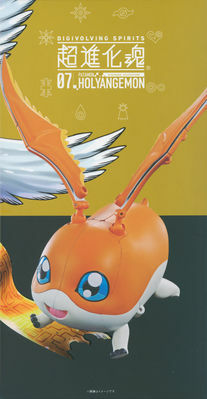 The right flap features Patamon! 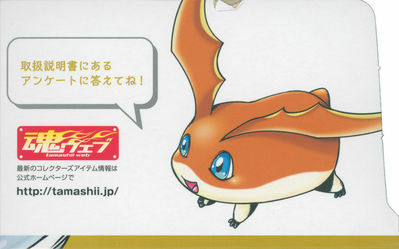 Patamon is asking buyers to please fill out the questionnaire that's included with the instructions. A 100% unnecessary touch that most people will likely never even notice, but continues the tradition of Digivolving Spirits having little messages 'from' each Digimon on the inner flap. Then we have the instruction sheet included. The instructions are a single sheet printed on both sides, folded in half twice. The instruction sheet is in Japanese, but with key bits in English. The questionnaire that was mentioned is a link to an online one instead of an actual physical form to fill out. One touch that is nice is where they sketch outlines and highlight the areas they are talking about in a very purpley color to make it extra clear what parts they are referring to. 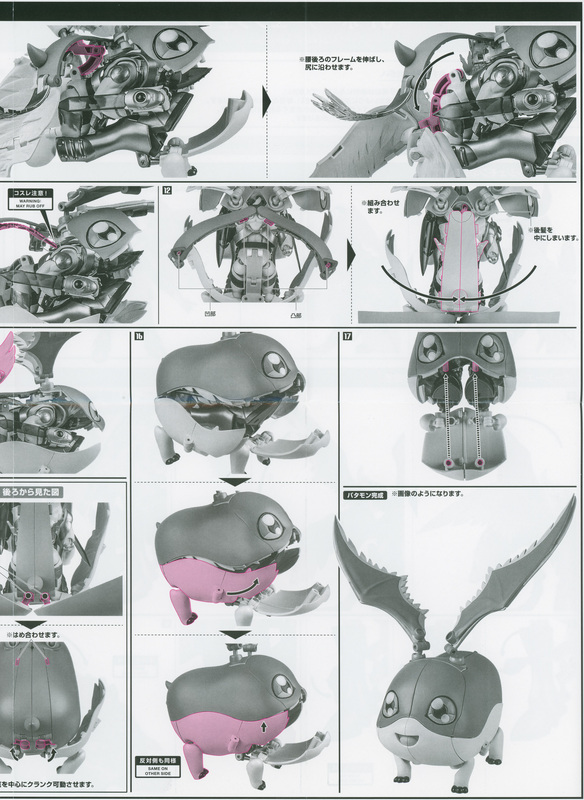 The instructions overall appear reasonably clear, but I wish the whole thing was translated. 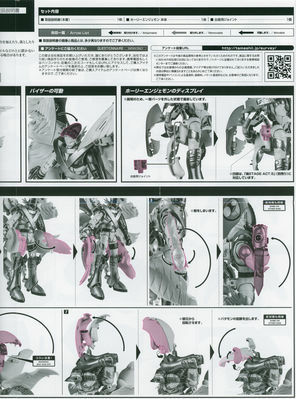 Looking at the figure used in the instructions, it appears to be an early unpainted prototype. 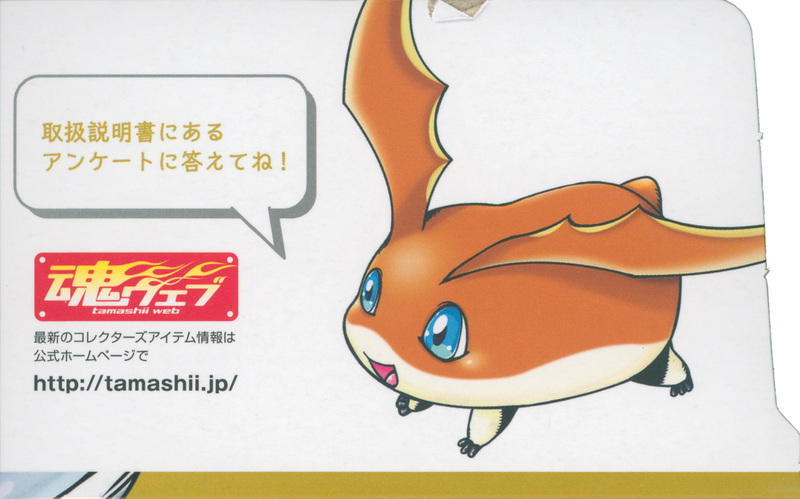 HolyAngemon's sheet is printed large enough it was actually hard to get on the scanner... making it the one hard thing to deal with. It's printed on glossy paper, and the box was large enough that when folded up it fits well. 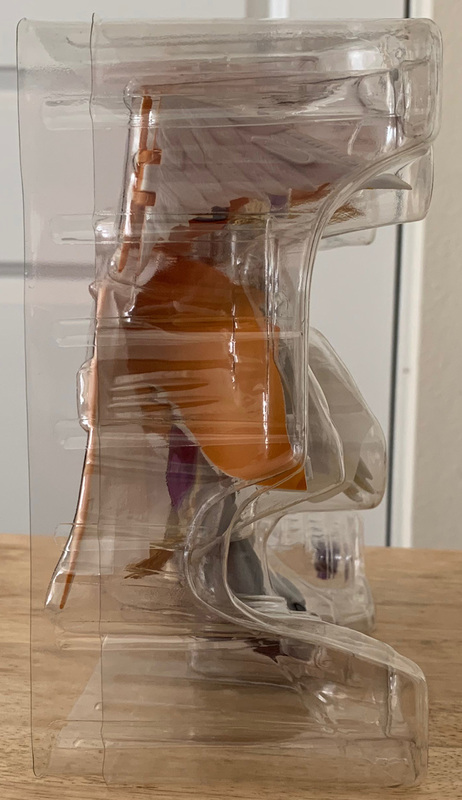 We have a thread for the figure, and we have people in the community who photograph figures far better than me, and hopefully some good images show up soon. But, as is normal, I couldn't help myself to take a few from the figure still in the plastic shell once I removed that from the box. 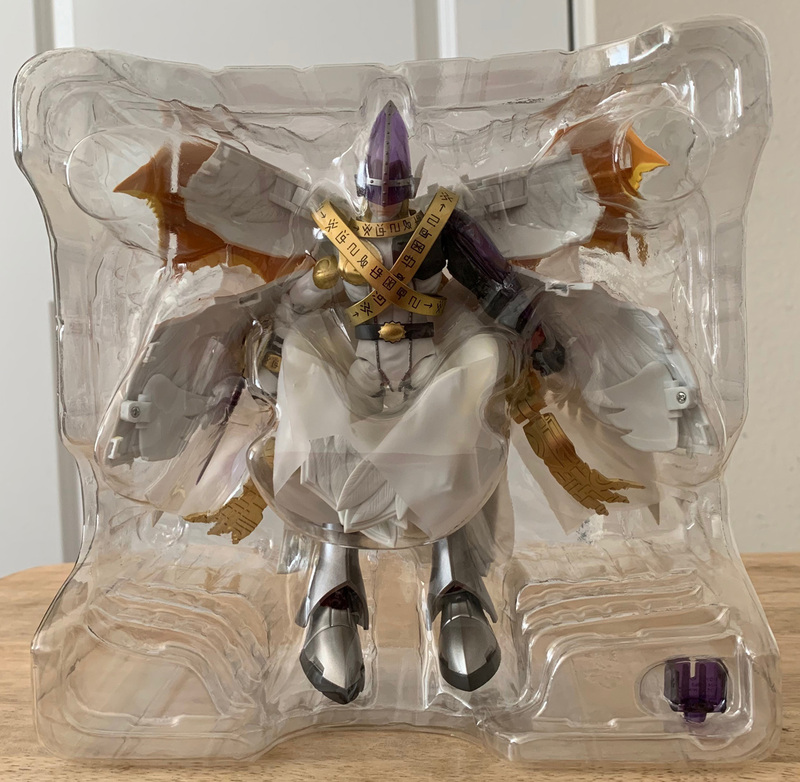 Packaged as HolyAngemon, the figure is packaged mostly transformed (mostly parts of the wings are folded up and protected for shipping, even with a bit of protective material added.) 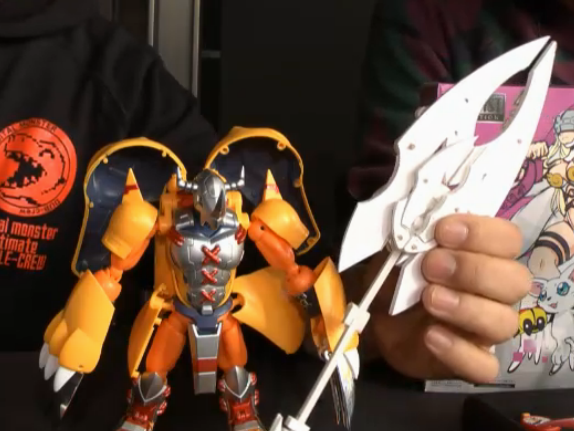 You can also see the joint that comes with it that lets you use a stand. 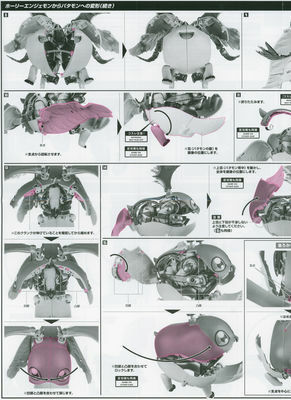 Removing the front of the shell lets you more clearly see the figure. 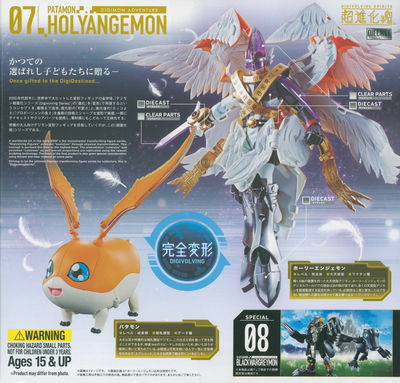 HolyAngemon looks nice and detailed. 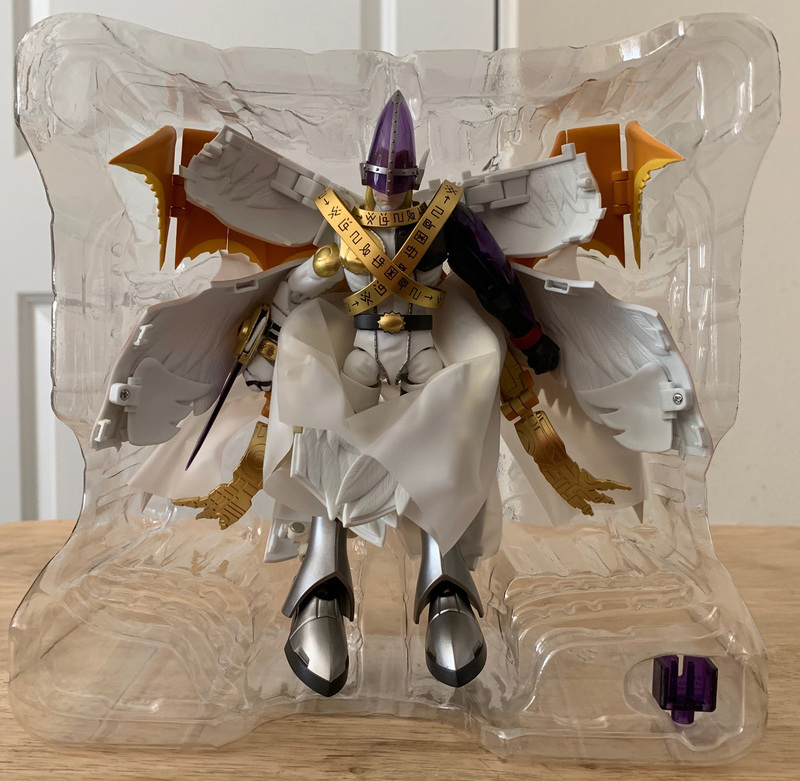 HolyAngemon is a pretty nice figure. In both forms it looks pretty good overall. The only 'real' compromise just looking at the figure is that from the back of HolyAngemon you see a lot of Patamon. It definitely avoids some of the pitfalls that people didn't like with the Angewomon figure. The figure also feels like it has a really nice level of detail with lots of little touches, which makes it feel a bit special. 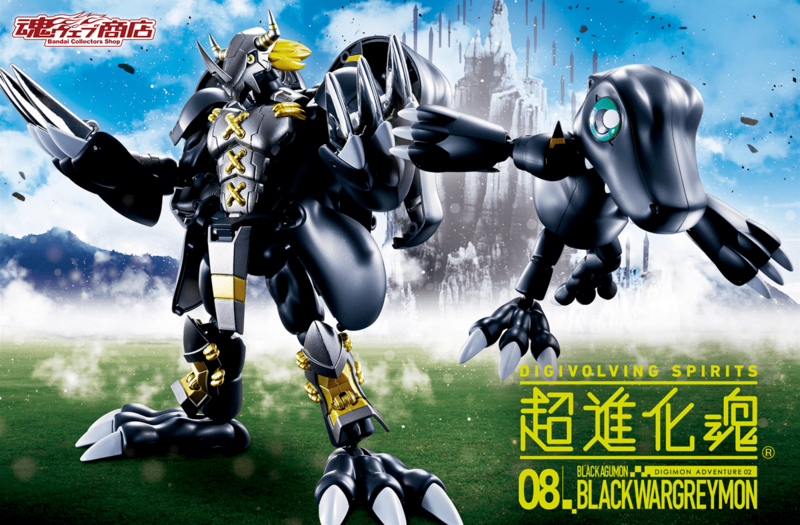 Japanese orders for BlackWarGreymon have closed. 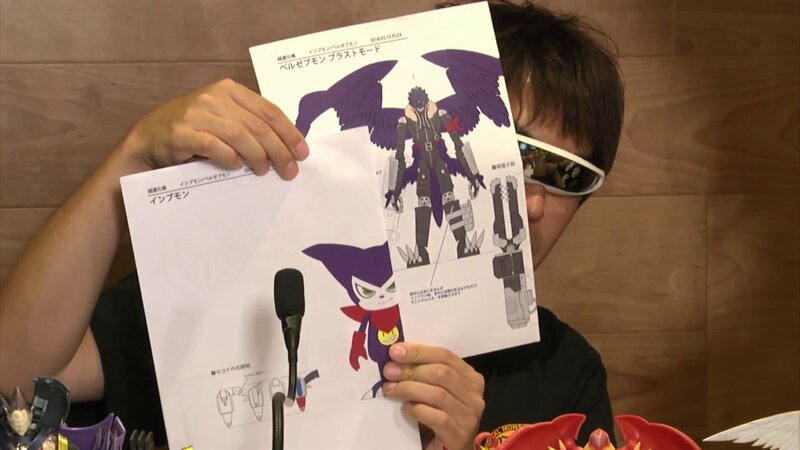 Then there is a prototype of Garudamon (and Piyomon) from the recent Digimon Thanksgiving stream, plus artwork of Lilymon and Zudomon, the last 2 Adventure partners. Artwork and a very early prototype of Ouryumon. And also from Digivolving Thanksgiving, our first look at a Beelzebumon Blast Mode/Impmon figure. Every figure we've seen looks fantastic and I can't wait for more to come out. The images can all be found in the gallery. 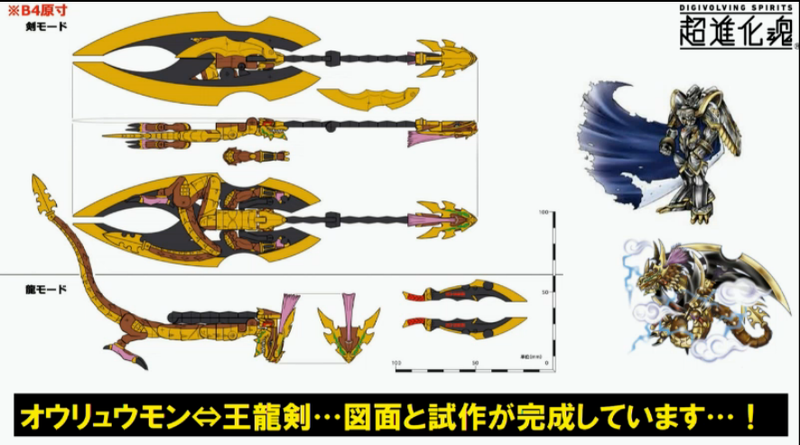 If you want to discuss the figure itself there is a discussion thread here. Magnificent. Can’t wait for the last 3 adventure rookies to ultimate! Wow, the figure looks holy. Also I feel Lord HolyAngemon vibes from the artwork rather than Takeru's HolyAngemon. Anyone else? It's possible the artwork gives you that impression, because the artwork has a "manga" style. That style is used for artwork in other Digievolving Spirits figures too. I think it's nice. Since it would be hard to make this but they did it. And much better this time. 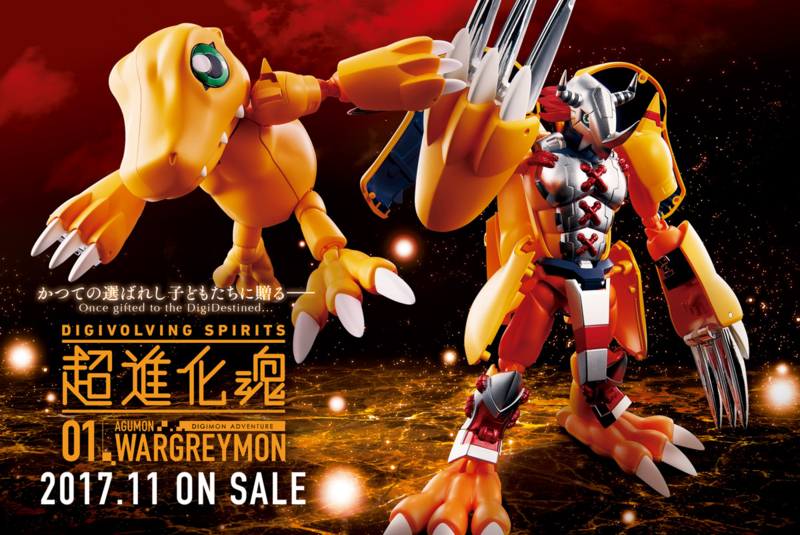 I'm surprised that Tamashii Nations has not annouced what Digivolving Spirits 09 is yet. 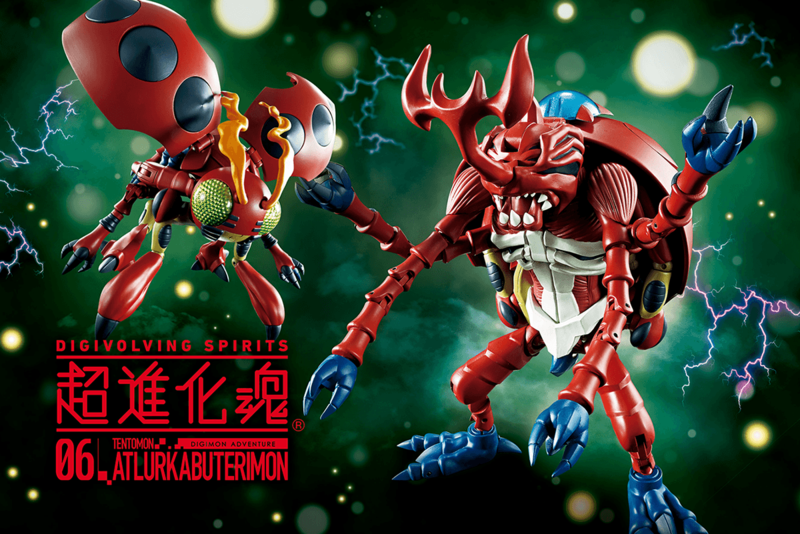 Maybe they will announce it at Wonder Festival in February. We just have to be patient. What a gorgeous figure. 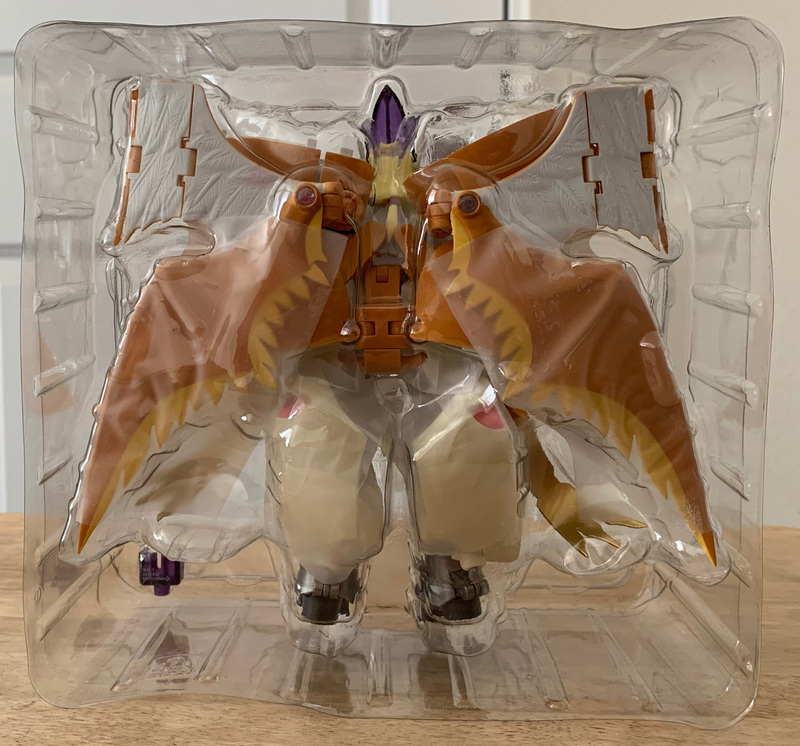 Usually I eschew these things since I’m very picky about model-accuracy and the accommodations made for the transformation gimmick leave even the best figures lumpy and misshapen, but this comes pretty damn close. Holy Angemon is my all-time favourite digimon design and this is easily the best figure they’ve ever made of him, and will doubtless remain so until such a time as he gets a GEM release; even then, the posability and fascinating little details like what’s under the visor make this worth having. This is a ‘buy’ for me. 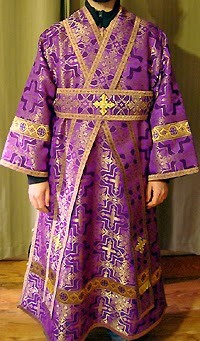 It’s similar to the double-length orárion worn by Orthodox deacons when they cross it over itself at the height of the divine liturgy (mass). 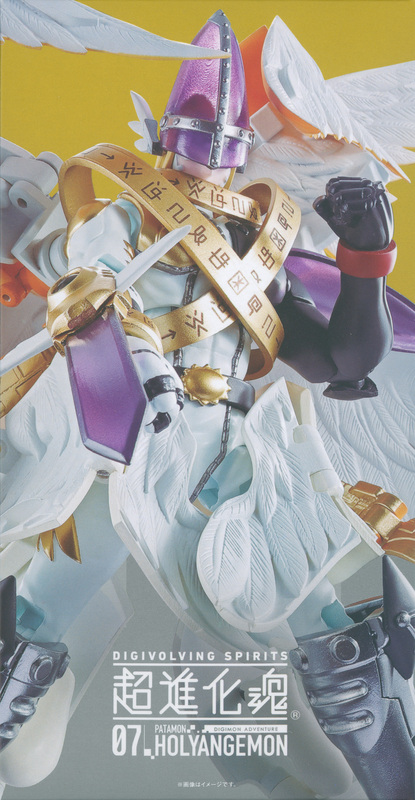 Normally I’d say that Orthodoxy is so unknown in Nippon as to render the resemblance probably incidental, but DIGIMON has certainly pulled from more obscure things.